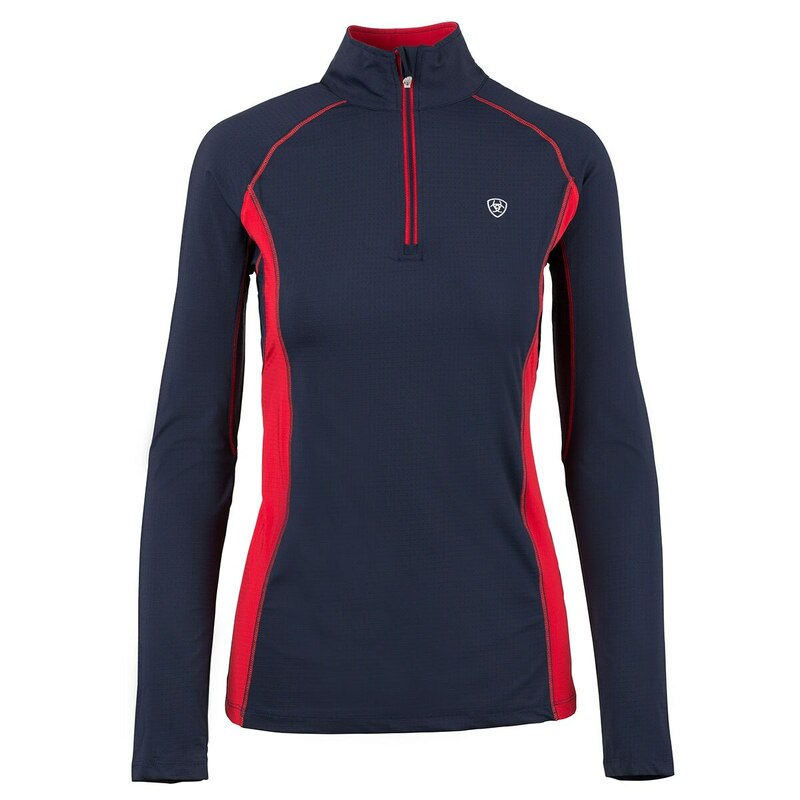 The Ariat Team Tri-Factor 1/4 Zip Sun Shirt has a trio of features to keep you cool and comfortable in the saddle! Performance Jersey fabric with IceFil® fabric reduces body temperatures up to 5 degrees combined with sun protection and moisture management make this perfect for summer rides! Perfect for a schooling at home, the color blocking offers a flattering, sporty look. For additional comfort and performance, the 91% nylon and 9% spandex fabric is soft and offers superior stretch in and out of the saddle. 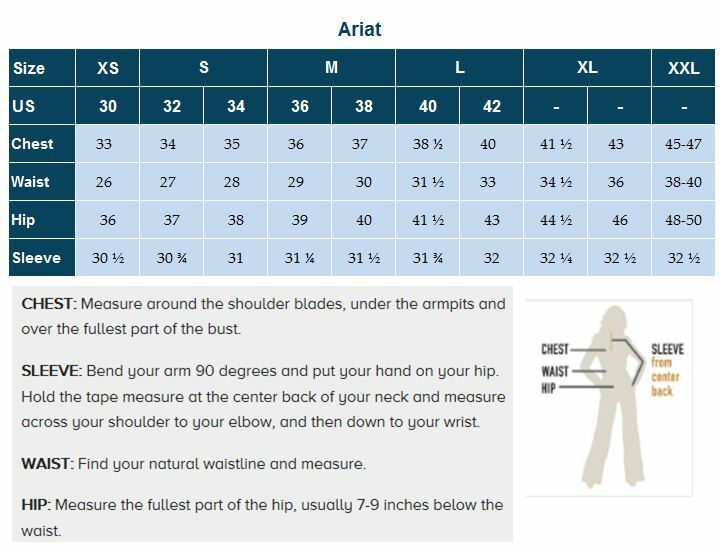 Ariat Team Tri-Factor 1/4 Zip Sun Shirt is rated 5.0 out of 5 by 4.